It looked like a quiet camp site, deep in the woods of Wisconsin, where Lauren and Mark Lanker took a week to journal, canoe, marvel at God’s creation, and actually rest. It was in that quiet that the words they had heard in a sermon almost a year prior finally took root, not only in their hearts, but in their lives. It was there that their need for true and routine rest became more real than the fear of dropping all the plates they continually had spinning. It looked like going for it, even though it didn’t seem possible. It looked like pulling out a calendar and balancing two schedules best described as antithetical to Sabbath rest, and picking out whichever extended periods the Lankers could find. Lauren, running her own website from home where work could be continually at her fingertips and Mark, a doctor working the night shift, sometimes slotted out periods that started in the middle of the afternoon or didn’t quite last a full 24 hours. As challenging as it was to schedule, the need to acknowledge their “humanness and need for rest” far outweighed any struggles they had with time. It looked like inviting friends into small pieces of their Sabbath: cooking, playing games, and really talking together. “The concept of Sabbath and taking a day of rest is foreign to most people,” Lauren describes. 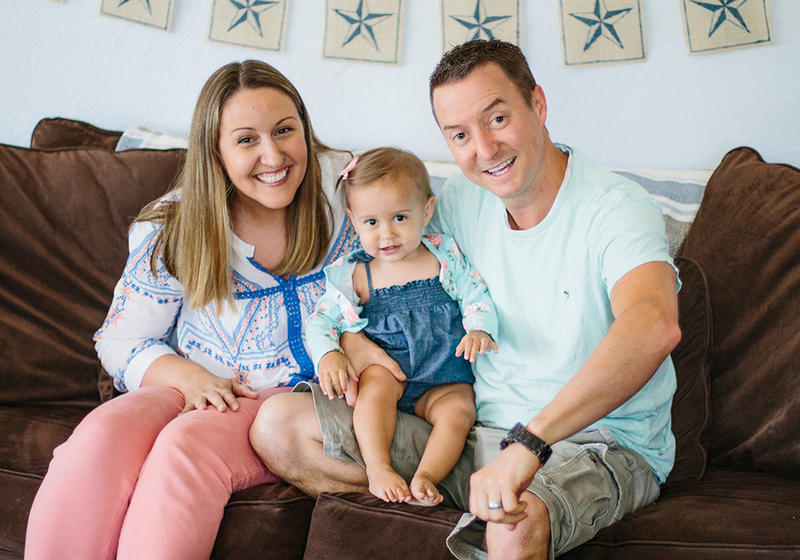 “We didn’t really know people who practiced Sabbath to see what it looked like.” A fact that could easily have been a deterrent, Lauren and Mark embraced the challenge of starting from scratch in figuring out what Sabbath could look like for them. They even took a couple in their Connect group under their wing when they saw how intrigued they seemed by the concept of Sabbath. Darling and EB Heldt started to embrace the idea alongside the Lankers. Lauren and Darling especially formed a bond as Lauren helped Darling walk through her first experience with taking an extended time of intentional rest in the form of a sabbatical from work. It looked like closing the computer, putting down the phone, and accepting that they weren’t actually needed for a day. “Our biggest realization was that six days really are enough to do all the necessary things in life,” Mark explains. “To grasp that seventh day is counter productive. None of us are that important” he finishes with a chuckle. Some days, it looks like messing up—rearranging an afternoon after locking keys in the car or realizing that time spent on an iPad wasn't very life-giving. “We had to figure out what qualified as work and what qualified as rest,” Lauren explains. “Give yourself grace and time and space to figure out what is rest.” she encourages. Mark adds, “It’s helpful to let every Sabbath be like a rough draft. We did have to draw lines in our minds as to what is life-giving and what isn’t. It’s very individual and we learned over time what works.” Sometimes it meant recognizing that rest, much like a muscle, will take time to learn how to use again after setting it to the side for so long. It's expected that we would get it wrong from time to time. A lot of days now, for the Lankers, it looks like a family bike ride and taking turns spending time with their one-year-old daughter, Juniper, while the other journals, prays, or reads Scripture. They might schedule a phone call with a good friend, walk to a restaurant, or cook a new meal together. Though the journey to get there looked like days of missed Sabbath as they made the transition from a family of two to three when their daughter was born, when the Lankers finally got a chance to “come up for air,” they realized that their new Sabbath would be different, but just as beautiful as the old one. They now get the chance to explore what is restful and life-giving in their new normal. And so now, it looks like a couple on a dock watching the sunset, breathing a sigh of relief as the 24 hours of rest they’ve been waiting for all week begins. Lauren quotes Mark 2:27, “The Sabbath was made for man, not man for the Sabbath.” as they both expressed their heartfelt desire that we would all recognize that God isn’t trying to take our time away from us when he commands us to observe the Sabbath. He’s giving us a day to set our minds back toward the one who’s actually keeping all of those plates spinning. He’s telling us how to live life to the fullest.